At its regular meeting on July 16, 2013, the Board of Trustees, along with the Chancellor of the Peralta Community College District, Dr. José M. Ortiz, announced the appointment of Dr. Michael Orkin as the District’s Vice Chancellor for Educational Services. Dr. Orkin, who was serving in the position on an interim basis, will continue to manage educational services for the Peralta Colleges. Dr. Orkin has more than 25 years experience as a college and university administrator. He has served as the Associate Vice Chancellor of Academic Affairs at the Peralta Colleges and as Dean of Business, Mathematics and Sciences at Laney College. 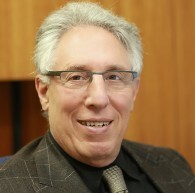 Before joining the Peralta Colleges, Dr. Orkin was Associate Dean of Science at California State University, East Bay. Also at CSU East Bay, Dr. Orkin was Professor of Statistics and Chair of the Statistics Department where he is currently Professor of Statistics, Emeritus. Dr. Orkin has had considerable consulting experience for government and the private sector and spent two years as a managing scientist at Exponent, Inc., a Silicon Valley scientific consulting company. Dr. Orkin is an expert in statistics, data analysis and educational technology. He has published numerous research papers and has written data mining software that was featured in Wired Magazine. Dr. Orkin has appeared in national and Bay Area media, including CNN, NBC’s Dateline, KTVU News, KPIX News, the LA Times, and ABC’s World News Tonight. He was an invited speaker in the Google Tech Talk lecture series. Dr. Orkin is the author of several books, including What are the Odds? Chance in Everyday Life. Dr. Orkin has a Ph.D. in Statistics and a B.A. in Mathematics, both from the University of California, Berkeley.